Dramatica : Are there any particular areas of story you'd like me to cover? Plot, Character, Theme, Storyforming, etc. Dramatica : Okay, here's some information on Storytelling. Stop me if you have any questions, or want to change the subject. First of all, Dramatica theory divides stories into two broad categories: Storyforming and Storytelling. To see the difference, look at West Side Story and Romeo and Juliet Both have essentially the same dramatic structure, but the storyTELLING is quite different. Nawtigrl : How to handle all the resolutions with all the elements at once to move forward? Dramatica : Ah! Dramatica has SO MUCH detail about your story, that to try and use it all as a blueprint, would smother your creativity. The heart of creativity is to blend many meanings into a single symbol. What we suggest is, that rather than trying to use the 150 pages of reports and all of the storypoints as a blueprint, just read the reports to get a "feel" for your story. The reports and storypoints are designed to shine some light into the areas you may not always think to look. Then, when you see what's there, your instincts can take over again. Nawtigrl : OK, I'm rewriting and ..
Dramatica : So you are coming to Dramatica with an existing draft, and want to know how to get some use out of the software in that case? Dramatica : Okay. When rewriting...authors, in their first draft, often don't know exactly what they want their story to be, until they have completed the first draft. By following their personal muse, they are able, in the end, to discover the essence of what they want to say. By that time, however, they have put a lot of work into things that may not all work, in light of the eventual message they discovered. So, the trick is, to locate things that are inconsistent, and things that are missing or redundant. Here's how you can use the software to do that. There are two different approaches. Number one: go ahead and try to create a storyform that describes your story as you now see it, without actually referring to the draft itself, just from your personal understanding of what you are trying to achieve. Dramatica : This works fine for drafts of any number. Once you have a storyform that is just what you wanted to say, then you go into storytelling and try to find parts of your story that "tell" each of the dramatic points you need to make, as indicated in the storyform. If there are points which you can't find anything in your story that matches then you have left some holes in that draft, which need to be addressed. Dan Steele : hi. Traffic! Dramatica : In that case, those parts of your story are not really part of the drama, and unless the audience is made to understand by the way you present them that they are just entertainment, you may be confusing your own message. But as I mentioned, there is a second approach to rewriting, which I like even better. When you go into the software, go directly into storytelling without creating a storyform. Dramatica will present you with all the same storypoints, (goal, Main Character's Concern, etc.) but will not have supplied any dramatic items to fill them in. Goal will not be listed as "obtaining" or "becoming", for example, but will be left blank. Now, you fill in the storytelling for each of these points, because every complete story is going to have to address them. Then, once you have found or written anew story illustrations that cover all of the dramatic points. You go into storyFORMING mode. When you are in the DQS (Dramatica Query System) If you select Storyforming, and then push the Helpview button in the middle of the screen that says "storytelling", all of the storytelling you have already entered will show up in the text box beneath the storyFORMING question. In this way, you have your own words, describing your own story as a guide in selecting which of Dramatica's choices would best describe what you have done. Start with the story points that are most important to you. Those you are sure to get. But as you move from one question to the next, eventually, you may come to a question in which all the available questions are not appropriate to the storytelling you have already done. At this point, you need to make a decision. One choice would be to scrap what you wrote as being inconsistent, and write something else on that story point, that would be more in line with the available choices that Dramatica predicts you can use and still be consistent with what you have chosen already. You may only have to rewrite a few scenes to accommodate this. But if your mark was WAY off, and your own biases got the better of you, you may find that there are a number of scenes that need to be rewritten to keep all your ideas in line with one another. But the other choice, is that even though this particular point is not perfectly what it ought to be, it is a meaningful scene to you, the author. And therefore, you might want to keep it in even if it will slightly weaken your argument. You see, every story point doesn't carry the same weight. And in different stories, that weight will shift around and redistribute from one story point to another. So, you can choose, for your particular story, to just ignore the inconsistency, and put in the scene or story point because it is entertaining, or fun, or the producer insists, and you will be confident it won't do a lot of damage, and that the entertainment value might more than make up for it. But, of course, there are some storypoints, that even if you are off the mark a smidgen, it messes up your whole story. These are often crucial story points that occur near the end of your story, where the audience's trust in you can easily be violated. That's all on that point. So, hi again Dan! Nawtigrl and I are just covering some storytelling issues. Dramatica : Any questions or comments for either of you that you'd like addressed? Nawtigrl : I've got some changes I know I want to make? Like switching my main and obstacle? Dramatica : Okay, that is not a problem to switch the two. Often, in the telling of a story, you come to realize that the character you want to have the audience looking through is not the one you originally intended. Since you are operating on a finished storyform, all you really have to do is change their names in the software, because the two points of view are not going to change, only which one represents which one. Nawtigrl : I can't see how to connect the Build Characters choices with the DQS choices? Dramatica : or is it more complex? Nawtigrl : Yes, to your question. Dramatica : Okay, here's how the Build Characters area relates to the DQS. As you know, there are two types of characters we see in Dramatica Theory. Subjective and Objective. Objective characters are seen from the position of a general on a hill, overlooking a battle. The general identifies the soldiers by their functions and positions, not by their names or personalities. In stories, most characters can be looked at by their dramatic function. But then, there is the point of view of the soldier in the trenches. The audience experiences the battle first hand through their eyes. This is the Main Character. And coming toward them through the smoke of the battle is another soldier. The smoke is too thick to see if they are friend or foe, So the Main Character cannot tell if they are coming with a bayonet to kill them, or a friend coming to warn them they are about to walk into a mine field. Obstacle characters can be friend or foe, trying to help or hurt, but the M.C. only knows one thing: the Obstacle is standing in their path. The choice then becomes to keep going that way anyway, and run over the Obstacle character, or to veer off and heed the obstacle's "warning". Now, that "warning" is about a particular issue in stories. There is a central issue that is the source of the Main Character's drive. In Dramatica, this is the "crucial" element. The software calls it the "problem" element, because it is this drive that makes the story's problem an issue. Now, it might be best for the M.C. to change paths OR it might be best for them to keep on the way they were going. The general can tell from up above, but the soldier cannot. The soldier is like us in real life: they haven't got a clue! So, there is a relationship between what the general sees is the best thing to do and what the soldier thinks is the best thing to do, because both are using different standards of measurement but about the same battle. Success or failure hinges on the soldier's choice for the general. Personal fulfillment or continued angst are the stakes for the Main Character. It turns out, that there is a relationship between the nature of the Main Characters Drive (Main Character problem element) and the cause of the story's difficulties at large - (the Objective Story problem element). If the soldier decides to stick with their drive and it leads to success and fulfillment, then they made a pretty good choice, but any combination of Success or Failure and Good or Bad can result from Change or Steadfast depending upon what the author is trying to prove. Now, this soldier not only has their internal personal drive (or problem element) but they also have a function in the battle plan, as seen by the general. So, in a sense, they do double duty. All the functions of all the soldiers in the battle are represented by the elements in the Build Characters window. This is where you build your Objective Characters. But the "player" or "body" that you choose as your Main Character must also have an objective element attached to them as well. So that the "player" has both an objective and subjective role within them. It turns out, that in some cases both the objective story and the Main Character are "driven" by the same element in other cases, the Main and Objective story are related so that the Main Character is driven by one thing personally, but represents the opposite element (solution element) objectively, or vice versa. But problem and solution are not all. The "quad" of elements that contains the problem and solution also contains two other elements. The Focus and Direction. So, that is the choice of Change or Steadfast for the Main Character. Do they remain steadfast trying to treat the symptom or change and try to find the cure? This will affect Build Characters as follows: In a change story, the Main Character and Obstacle Character will each represent objectively, either the problem or solution element in the objective story as well. In a steadfast story, the Main and Obstacle will be on either the Focus or Direction, in Build Characters. This means that as characters, they are diametrically opposed in either case, but in one kind of story, the audience attention is on what is driving the Main Character and in the other kind, it is on the Main Character's response to the problem. Or in other words, what the Main Character's drive cause them to do, by means of approach. Dramatica : Well, any questions on that? Dramatica : Sorry about that! The book is a good source, and so is the audio cassette of our in-house classes. Nawtigrl : How do I know if my build character choices are in line with my storyform? Nawtigrl : What exactly to I have to match here? Dramatica : and on FOCUS and DIRECTION if STEADFAST. Dramatica : First, look at the output of the story engine. You can see if it is change or steadfast. In the storypoints report, you will see what the objective problem solution, focus, and direction are. Now, if you have a steadfast character and the story ends up as failure, you know they were not standing on the right spot. Its pretty easy to do for the change character. For change, if it is success and they changed, they must've started on problem, and jumped to solution in the end. So the MC will be on the Objective Problem element in build characters and the Obstacle will be on Solution. In that case, the Obstacle was a friend trying to help the misguided MC see the light and change course, so the Obstacle was on the solution element all along. The main was on the problem and changed in the end. But if the change results in Failure, then the MC was on Solution all along, the Obstacle was on Problem, was a true foe, and the MC jumped FROM solution to Problem, causing the story to end in failure. Steadfast stories are bit more complex, because the terms "focus" and "direction" don't carry any intrinsic positive or negative feel to them like problem and solution do. In fact, it is the judgment of Good or Bad that determines which of the two elements the MC and OC are on in a steadfast story. Focus is seen as the symptom, direction is seen as the treatment. If you have a steadfast Main character who ends up still having their angst (bad) did they stick it out on the treatment or on the symptom? In fact, they are stuck with the symptom. So, they would reside on the direction element. I'm sorry, I meant to say the focus element. (See how complex it is?) This is why we are writing that one into the software! But if the character remains steadfast, and they are over their personal angst. then they are stuck on the treatment, which means they still have the resources. 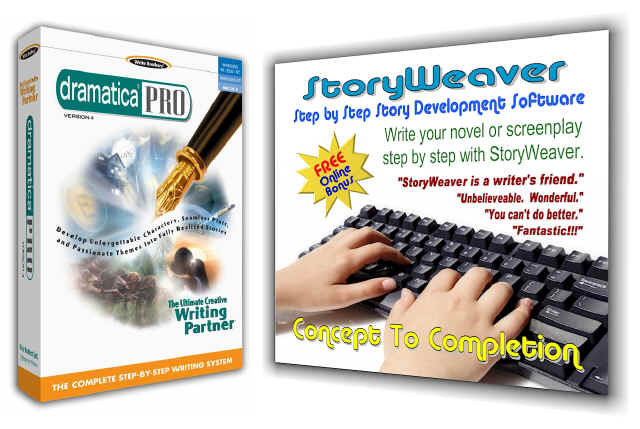 Now, as more of the Dramatica theory is implemented into the software, even MORE appreciations (storypoints) will be offered that give an even MORE Dramatica : detailed view of your story. But not more terms like these. Nawtigrl : I make my choices, seems like the objective players are in the wrong scenes in the 'form? Dramatica : The current software is more of a framework for a story, but the enhancements will deal more with the perspectives like Greed and lust, and love, etc. Then, we can be more accurate about where the Main and Obstacle will be. You mean the report that says when which elements need to come into conflict? Nawtigrl : Well, not exactly. Dramatica : Which form? The storyform? Nawtigrl : The storyform. I'm trying to figure it out. How to sequence to the original draft. Dramatica : Remember that the storyform itself says nothing about the objective characters. It only talks about the objective STORY, the subjective story between Main and Obstacle and Main and Obstacle alone. So, the order in which the objective characters appear, is not dictated by the storyform per se. But the Main and Obstacle have definite orders to their growth or personal exploration. The storyform does not say the characters have to be in the same scene, but only impacted by one another. It is their personal growth that cause their relationship to grow and change. The acts suggest the order in which that growth will occur. Nawtigrl : But the acts dictate order? Dramatica : But keep in mind that in stories like "Remains of the Day", the storyTELLING order, the order in which the audience is shown the various parts of the story, can be quite different that the order of the internal logic of the story, part of which is the character's growth.